Affordable Roofing by John Cadwell, Inc. has proudly served Orlando and surrounding county locations such as, Lake, Seminole, Orange, Osceola, and Polk County, Florida, for over 23 years. 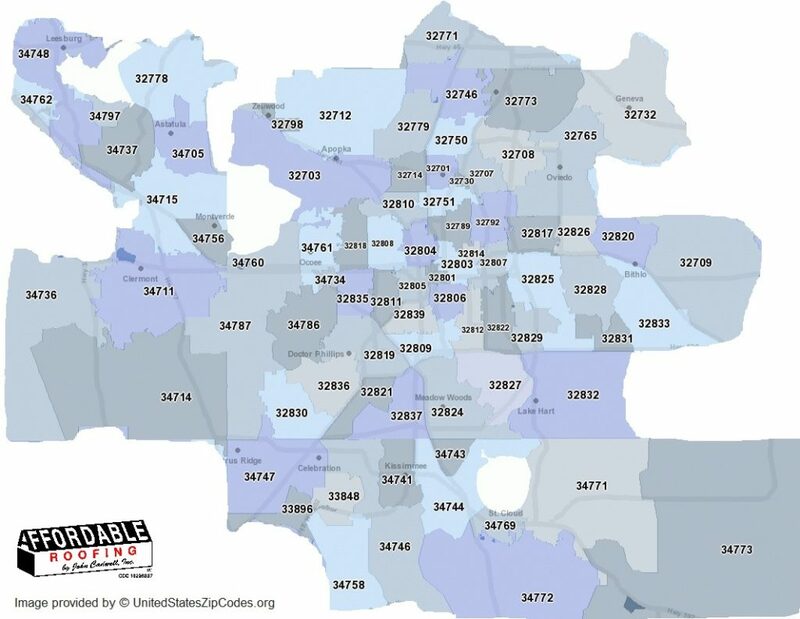 Can’t find your zip code? Zip codes not posted are not serviced at this time. If you believe we missed adding your zip code to our directory because you see your city listed below please call us 407-935-0050. Not all cities are listed above. These are the general names of cities or towns in the zip code directory we use for roofing service location. Check the zip code drop down and request an estimate. Affordable Roofing by John Cadwell, Inc. has done work from South Carolina to the Florida Keys but the cities listed above are our main area’s of service.